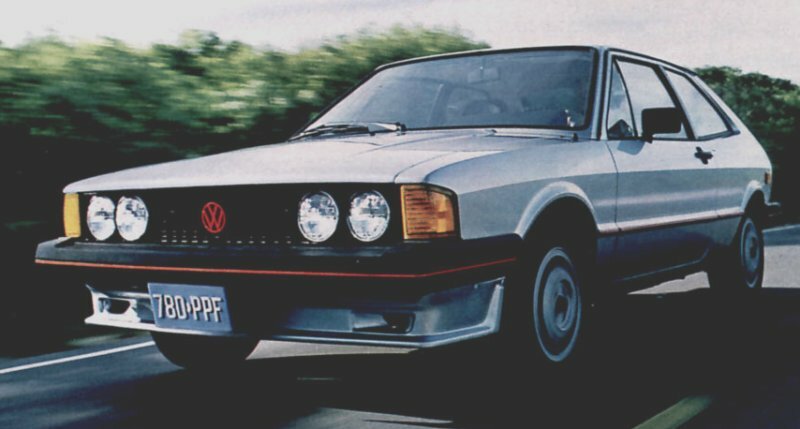 In 1980, the Scirocco S was introduced into the American VW range. Mechanically identical to the 1588cc fuel injected standard American spec Scirocco, the S was basically a ‘cosmetic’ special edition. A 5-speed gearbox was optional. Externally, all chrome trim was blacked out. Red inserts featured on the bumpers and side trims. The red theme continued onto the tailgate badges and the VW logo on the grill. A deep Zender front spoiler was fitted, the same one as used on the UK only Scirocco Storm. 13″ alloy wheels were shod with Goodyear tyres that had the lettering highlighted in white. For 1980, the only paint colours available for the S were Alpine White, Mars Red and Black. 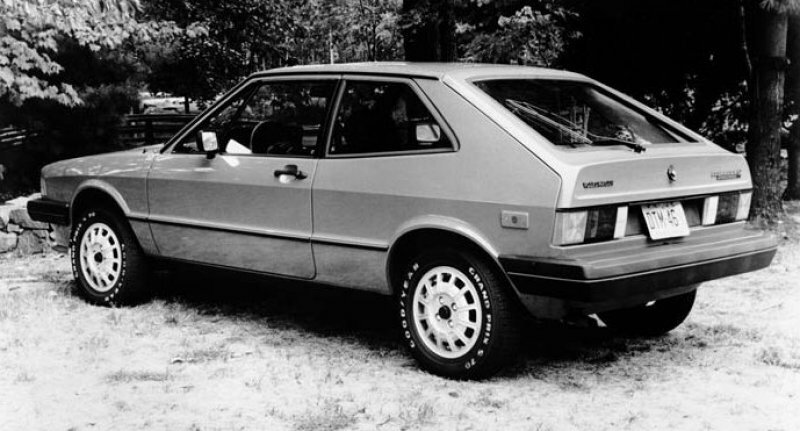 A full length side stripe that continued up the rear pillar was only used on the 1980 model. The sills had a matt black covering. 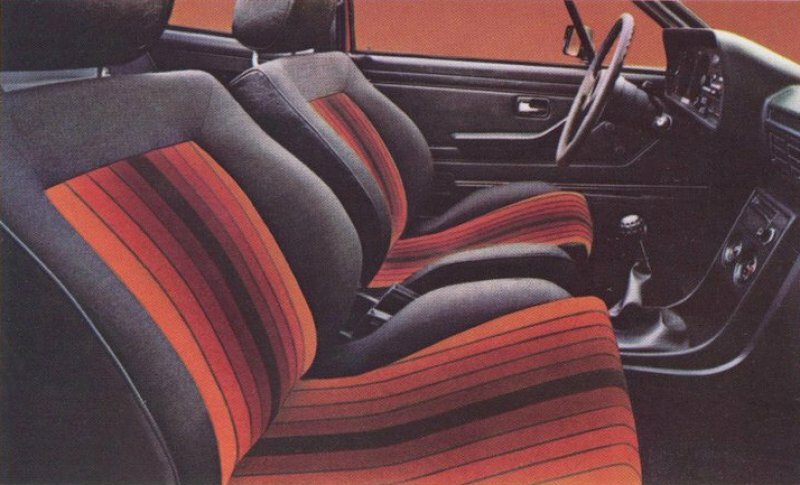 The interior featured Recaro style seats with ‘Strobe’ trim, as used on the European GT and GTI. Red trim was used with Black and Alpine white paint. The dash was black with no bright inserts. Note the golf ball gear knob. Black trim with Mars Red paint. 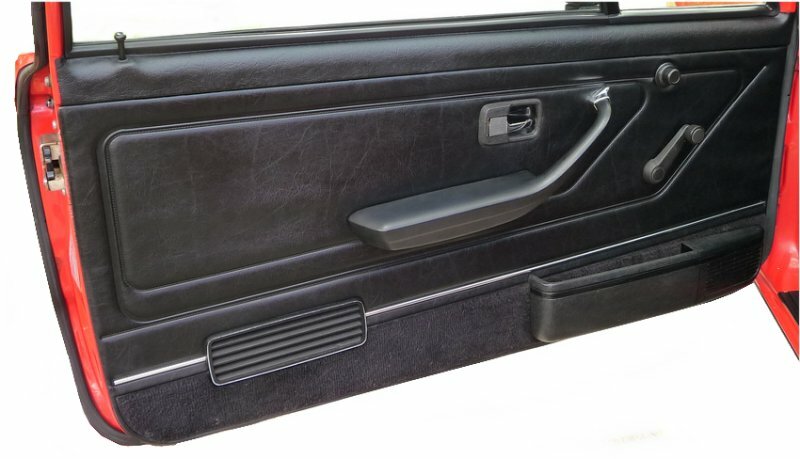 Door bins with speaker fitments were also a feature. New colours for ’81 were Cirrus Grey metallic, Cosmos Silver metallic and Mars Red. The side stripe was deleted. 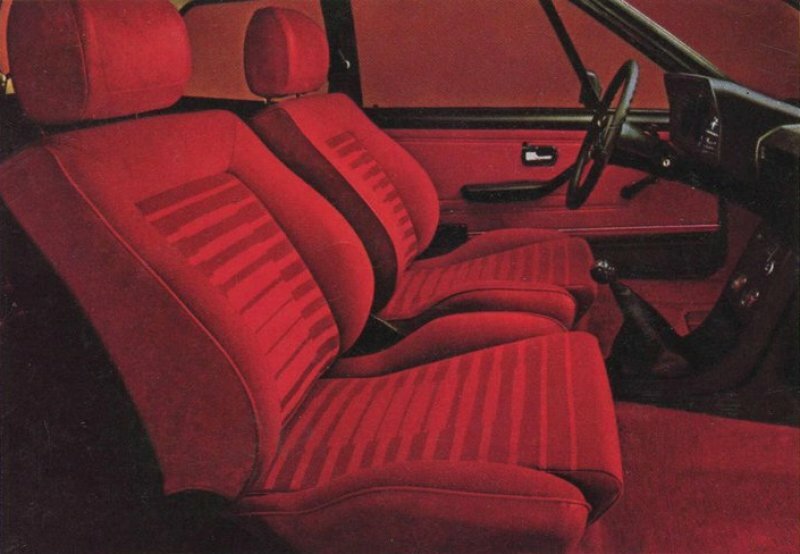 New interior trim as used on the Euro Golf GTI. Black/Red trim with Cirrus and Cosmos paint. Black/Silver trim with Mars Red paint.